Did not receive your activation email? Forgotten password? Reorder your medical supplies online - it's simple! Enroll now to easily place reorders online, view your previous order history, update your account information and more. Don’t have time to call? You can easily place a reorder online for the supplies you need. To access our online payment system, please login to your myByram account. To create an account, click the orange ENROLL NOW button. We’ll keep track of what you ordered so you can easily view past orders. You are eligible to receive an insurance covered breast pump at no cost! Do you want your product cut? In order to proceed add at least 1 item to your order. You must add a valid number greater than 0. No accessories have been added to your order. Cannot order over prescription amount quantity. Ca Civ Code 1714.43. Disclosure. Byram Healthcare Centers, Inc. asks direct suppliers to certify that materials incorporated into the products sold comply with the laws regarding slavery and human trafficking of the country or countries in which they are doing business. 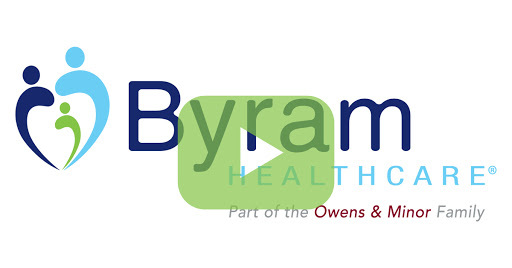 Byram Healthcare Centers, Inc. does not independently verify or audit this information. Byram Healthcare Centers, Inc., does conduct training of the applicable staff to mitigate these risks.